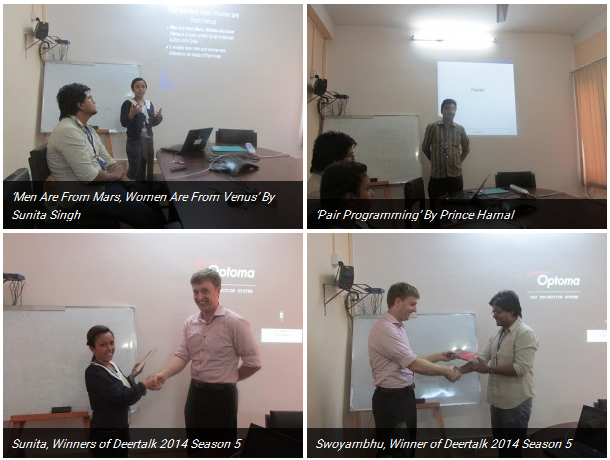 Deertalk 2014 Season 5 had Sajana Shakya, Sunita Singh, Sumira Shrestha, Prince Hamal, Suraj Byanju, Swoyambhu Shrestha, Dinesh Gautam, Bibek Dahal and Ganesh Regmi as its participants. It was another season filled with compelling speeches and amusing performances. 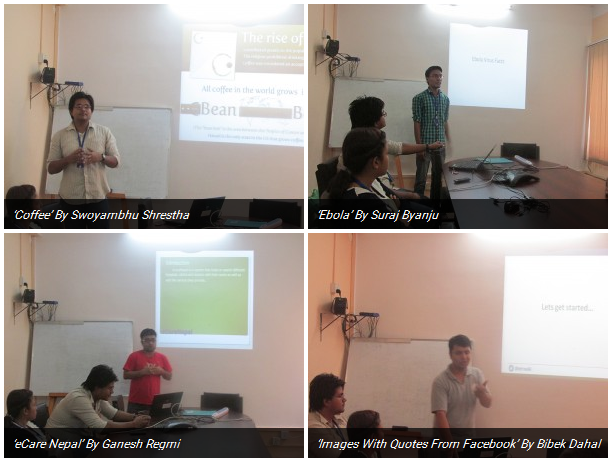 Sunita and Swoyambhu were consistent with their level of admirable deliveries and as a result were the top two speakers in all session. Other participants were amazing in their own ways and never ceased to improve throughout the duration of the season. Sunita Singh and Swoyambhu were declared the winners for the season. The winners were awarded the books “I Am Malala” by Malala Yousafzai and “The Essential Dalai Lama”.